My child, first of all we hope you always set pursuing the truth as your goal in life. You can be a famous person, or a nobody; a boss, or an employee, can be rich, or be poor… But we hope you are a person who pursue after the truth. When you were a kid, we were blessed to know God, brought you up with Bible as principles. We let you be brave to challenge, we let you study hard, and we let you get exposed to poem, music, dance, arts, history, geography and beautiful Nature; We let you see the limitations of humanity and the corruptions in human nature, we let you learn to build up healthy inter-person relations, all these is to let you develop a noble temperament and the ability in appreciating what’s true, good and beautiful. This temperament and ability of appreciation will accompany you with your life of joy, allow you to see the feast that God set for those who faithfully trust in Him, through the valley of death. Pursuing the Truth will make you outstanding, pursuing the Truth will build up your temperament, pursuing the truth can make you glamorous. In contrast, no matter how beautiful a girl is, without the ideal of pursuing the Truth, she will become indifferent and pitiable. The way to your ideal tend to be difficult, and you will endure hardships for this either. However, my child, you must prepare your will to suffer and the ability to endure hardships since young. One who pursues lofty ideals, will never be self-pity or pessimistic. In the seemingly rough life, you will see many signs and wonders that others cannot experience. Choosing to be indifferent may be comfortable and secure, but sure to be colourless. Ideals may not bring you any instantaneous profits, often bring no secular enjoyments. Hence you must prepare your heart, prepare to get used to the situation when nobody agree or appreciate you, or even times when people pity you. You should not be hesitated because of this, but to learn to keep the eternal truth alone, because the ultimate truth will never make you be ashamed. Do never give up your ideals for profit of large or small, never change what you believe according to the fashions of the world, and root this belief deeply. The external materialistic world is gorgeous, glamorous and attractive, easy to make you confused, and unconsciously you may give up the pursuit of ideals; hence you have to keep awake, learn to refuse the temptation of vanity. If you become a lovely girl because of pursuing ideals, there will be many people in fond of you. If you receive praises and honour more than what you should, it will make you be satisfied being superficial. Remember, charm is deceptive, and beauty is fleeting; A beautiful woman who lacks discretion is like a gold ring in a pig’s snout. You should learn to apologize to your mistakes. No mistake is greater than not admitting a mistake, never try to cover a mistake by another. Treat your own mistake with justice; do not be ruled by sin. Stop being evil and learn to do good, treat yourself and others with love and truth. You need to understand and appreciate relationships. In fact among millions of people, knowing of any one is a miracle. In getting along with others, there may be misunderstandings, jealousies and hurts. Solely for the miracle of knowing each other, it is worth to forgive and treasure. You should seek harmony with people, for there is a happy end to the person of peace. Love, understand, and forgive yourself and others, because sometimes the other people are exactly yourself. Learn to appreciate tragedies; tragedies make you understand the consequence of corrupting human nature. Learn to appreciate what’s true; See the truth under layers of masks. No matter how the world’s fashions change, the best qualities of human will remain. There are many people who have multiple standards, but there are very few who can still be outstanding because of keeping the truth. Sincerity is your intangible treasure. Sincerity will bring you unexpected regards and honours. Sincerity may not mean to point out the faults of others, but you must not compliment to those. I hope you do not be kitsch. If flatter appears on your face, I will be shameful for you. You may not be powerful enough to battle with the evil of the world in outer appearance, but in your inner heart, you should let Jesus Christ who is the Truth be your Lord. God has made you into a prestigious and unique person. No one can hide your honour, unless you give it up by your will. As you grow up, you will meet many people who are stronger and more outstanding than you. You may feel depressed, and self-abased because of the shortcomings you found on yourself. But do remember your source, remember no matter how much shortcomings you have, you are precious in the eyes of God. Also I hope you speak concisely and accurately, with the art of speaking. Don’t interrupt others’ speech. Get good habits in your life: keep clean and tidy; control your appetite, and intake food for your bodily need. Do more sports, do not be artificial, and do not have too much taboo. Read books and renew yourself every day. Don’t always think you what should others do for you, but think how the help others. Learn to rather suffer losses, but be alert those people who never will to suffer losses. Do not be insensitive or unconcerned about people and things around. Try the best to bring positive messages to others in interacting with others. Influence the people around with your words and actions. Never underestimate the effect of saying a good word or doing a good work. In humility consider others better than yourselves. Do not be opportunistic; do not belittle the things that you cannot do. Do not waste your time. Lastly, we have to tell you that, first is, the above things that we have told you, we are too making our effort in doing them, yet we have not done all of them; second is, you are much more blessed than us, when you are still young, your parents know to tell you all these. Let us give thanks to the Lord for this! We have received you from God, if you can be a child of light who is pleasing to God, it will be wonderful. Being our child may be hard, but happiness comes after hardships. * This is translated from an article by Li Jie on Overseas Campus Ministries (OCM) Magazine (, Page 54, Issue 0062, in December 2003). The author grew up in Beijing, is now living in Japan. * This is not an authorized translation of the original article in Chinese, hence it is to be used only for the purpose of education or researches, no publication is allowed unless permission from the original author is granted. God Loves the World, but He Loves His Children More! God Loves the World, does it mean that He loves everybody in the world at exactly the same level? For sure, God loves the world; however, He loves His children more! But, God loved Isaac more! Ishmael indeed received blessings from God, but, he was not the child of promise. Isaac was indeed a child of God, receiving more love from God. Abraham had several children besides Ishmael (, after Sarah had died, Abraham married Keturah, who gave births to several children). Did God love these children of Abraham? Other children indeed received blessings from God, but, they were not the child of promise. But, God loved Jacob more! Esau indeed received blessings from God, but, he was not the child of promise. Jacob was indeed a child of God, receiving more love from God. Then, does this mean that God is UNFAIR? God loves his children more, but, this does not mean that, the lives of his children in ‘this world’, will sure to be better than others. The top students in schools are often non-Christians. The Nobel Prize winners are mostly non-Christians. The tops of the richest people in the world are mostly non-Christians. and Christians may not be more successful than others. There are so many people who are not the children of God, receiving much more blessings than the children of God! 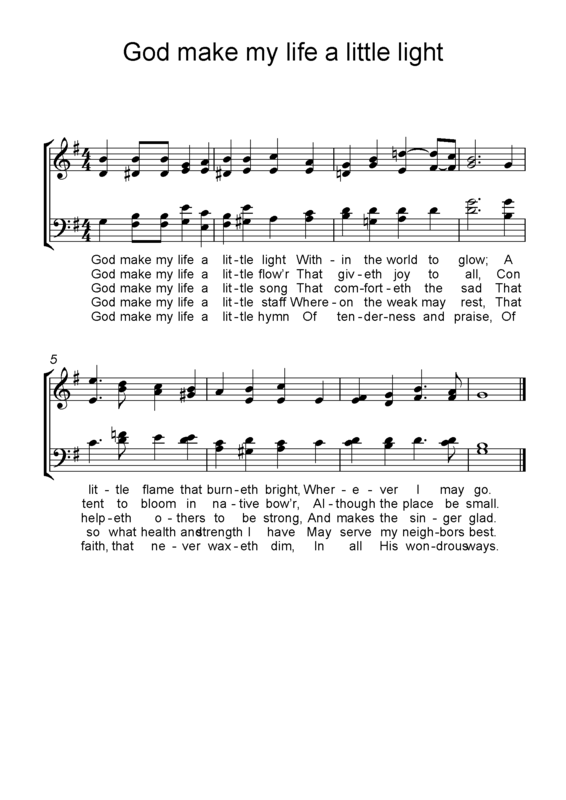 The blessings under ‘common grace’! Instead, the children of God, in terms of common grace, may not have more than the others, in fact, sometimes have much lesser than others. So, since God loves His children more, what does he love? Then, what love is this? God loves His children more, and what has ‘promised’ them, is the special grace, not the common grace. God has promised that in whatever circumstances, He will provide such special grace forevermore. However God has not promised that He will for sure give better to His children in terms of common grace. but sometimes, God does not give more. In the eyes of us, how much does special grace worth? In the eyes of us, does common grace worth more? Or special grace? Being disciplined when we commit wrong things, as compared to earning extraordinarily, which is our prioritized preference? Will those people who believe in folk religion, ever seek the deities to get disciplined, or punished, or instructed to the rightful way when they have committed wrong things? Aren’t those people who believe in folk religion, praying to the deities to allow them to make large sum of money, to be very successful, to get super rich, to do the top in exams… all these success and richness in the life of ‘this world’? What about us, the Christians? What about us, the people who consider ourselves the children of God? How are the things we are longing for different from those who believe in folk religion? are we really the children of God? Or only self-assumed to be the children of God, but actually not? “Those of this world whose reward is in this life”! Is this really what we are praying for? Is this what we are longing for earnestly? Is this what we are thinking of from dawn to dust? No wonder during all times of suffering, there are so many people abandon their faith! Because, they are not the people who can rejoice in knowing God, even if they barely receive simplest food or even be beggars. May we truly be the children of God! Truly be the true children of God, who are ‘satisfied with seeing your likeness’, http://www.blogger.com/img/blank.gifnot ‘those of this world whose reward is in this life’ like the common people. It is by God’s grace that He led me today to St Andrew’s Presbyterian Church in my short four-day-visit in Penang. as the sermon said today, whenever I’m in difficulties or joyful times, I experience God’s companionship more and more. Actually, I was a little bit upset when I found out I had missed quite some of ‘places-must-go’ in Penang, after talking to a local elderly person on the ferry I took last night. I thought at that time, how I wondered to have met the elderly person on the first day of my visit to Penang. If that would have happened, my journey would definitely be much smoother and easier. But this morning I was reminded that through this uneasy journey, God allowed me to grow, and to develop my knowledge besides those on textbooks. Today’s visit to St Andrew’s Church was not actually planned on my schedule prior to the trip, but thank God that He had prepared my path, and also my heart, when yesterday a non-christian said ‘Christians go to churches on Sundays’. Although the place be small. And makes the singer glad. In all His wondrous ways. Words: Ma­til­da B. B. Ed­wards, in Good Words, 1873, p. 393.